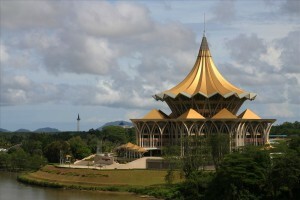 (In his first Winding Up speech as Sarawak’s 6th Chief Minister at the 18th Meeting of Dewan Undangan Negeri which concluded on 22nd May, YAB Datuk Amar Abang Haji Abdul Rahman Zohari bin Tun Datuk Abang Haji Openg defined and explained at length the various initiatives that he has started since he took office on 13th January 2017). 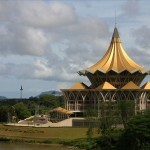 In his push for Sarawak’s transformation towards the digital economy, the Chief Minister explained that the first step into the digital economy world will be the creation of the Sarawak Multimedia Authority (SMA) of which he will personally assume the lead as its Chairman. The Sarawak Government will be tabling a new ordinance to govern the development and management of all aspects of Sarawak’s digital economy through the SMA in the next DUN sitting before the end of 2017. This proposed ordinance shall provide the legislative framework for creating the SMA, which shall be a Sarawak Government outfit and will be set up by early January 2018. SMA will set policies and standards for the development of a world-class Digital Sarawak on several key areas including Digital Infrastructure, Cybersecurity, Digital Government, E-commerce, Talent development, Digital Village and start-ups and R&D in digital technology. The SMA shall oversee the development of two new entities: the Sarawak Digital Economy Corporation and the Centre of Excellence for Digital Economy. The Sarawak Digital Economy Corporation (SDEC), an entity that will be fully owned by the Sarawak Government, will be entrusted with the implementation of the policies and programmes for the development of Digital Sarawak in line with the policies set by the SMA. SDEC will be authorised to undertake growth projects to stimulate the digital economy as well as to encourage the private sector to participate and flourish in the digital economy. The SMA, through SDEC, will oversee the development of the state-owned Digital Village. The Digital Village is an ecosystem for start-ups, entrepreneurs, investors or even government agencies to develop and express their ideas and innovation. SMA will develop a framework for managing the Digital Village for youths, and will encourage the setting up of similar digital ecosystems by the private sector. In order to support young technopreneurs, SMA will also facilitate technopreneurs to get funds and access markets through the Digital Village. The Centre of Excellence for Digital Economy, another entity that will be set up by SMA, will undertake R&D activities and will advise SMA of any developments which require a change in policy or standard. The Centre of Digital Excellence shall invite as its partners, universities as well as reputable researchers and practitioners, of both local and global origin. The key areas of R&D shall be smart cities, tourism, agriculture and other economic areas.